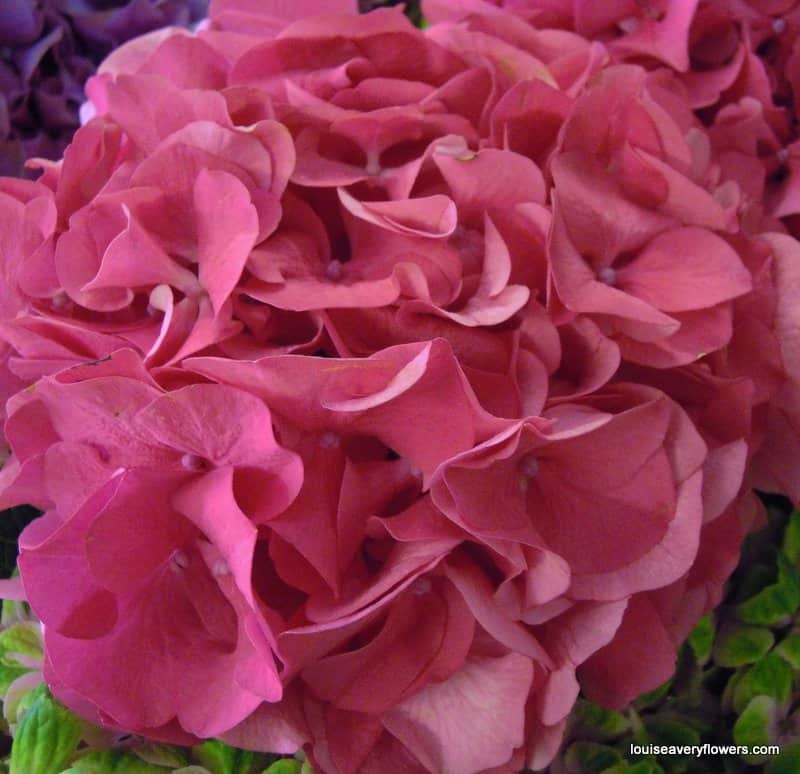 October enjoys the continuation of fabulous hydrangeas. 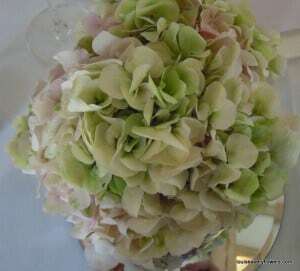 Hydrangea wedding flowers have been hugely popular to this season’s bride. Through the latter summer weeks we have seen more and more colours and varieties coming through the flower market. 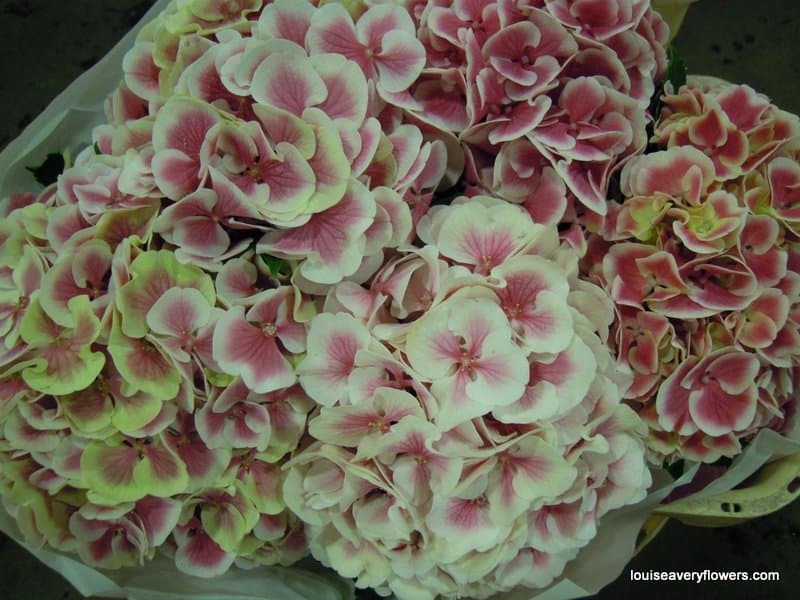 At this time of year most of our supply comes from Holland. 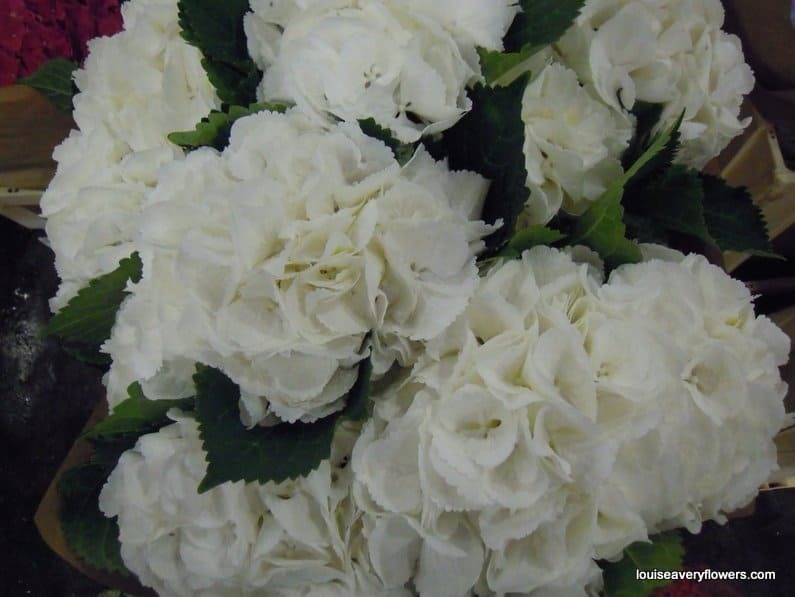 However, the Colombian growers have been adding this flower to their commercially grown portfolio. 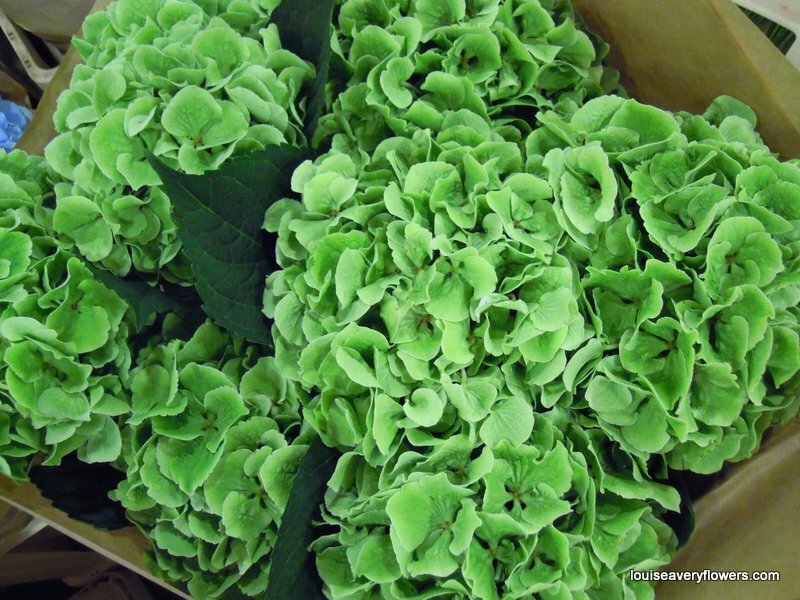 The Colombian colour choice is much more limited, but they are able to offer availability throughout most of the year. 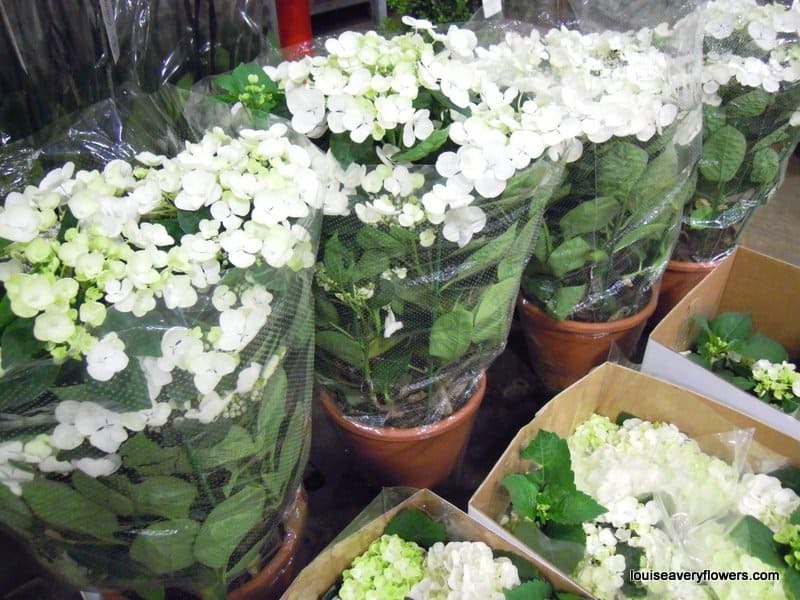 The beginning of the summer offers a great staple of Dutch grown standard pink, white and blue hydrangea. The colours of course need to be linked into each individual wedding or party. White though is always a classic choice and is great to work into the glamorous vintage theme that is oh so popular at the moment. 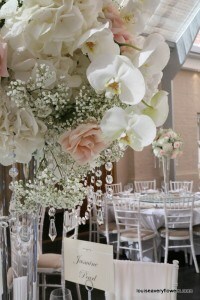 Team with dainty gypsophlia, roses and orchids, then add crystals or pearls for uber glam! 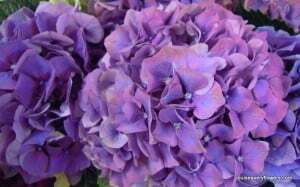 As the summer unfolds more colours and probably more excitingly, more shades and varieties start to become available including purples and zingy green shades. 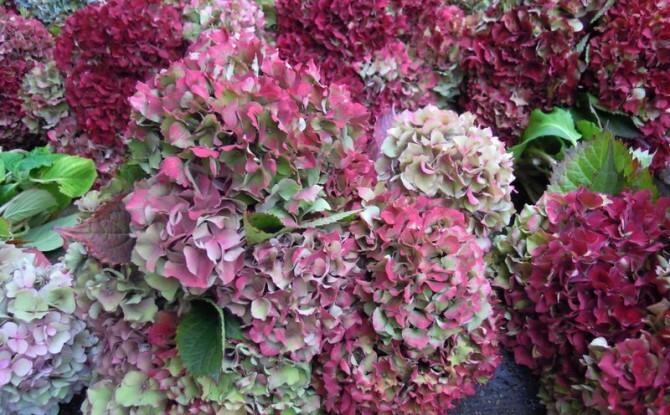 ‘Vintage pink’ is the name of quite a new variety of hydrangea and has already become the darling of the vintage themed wedding. 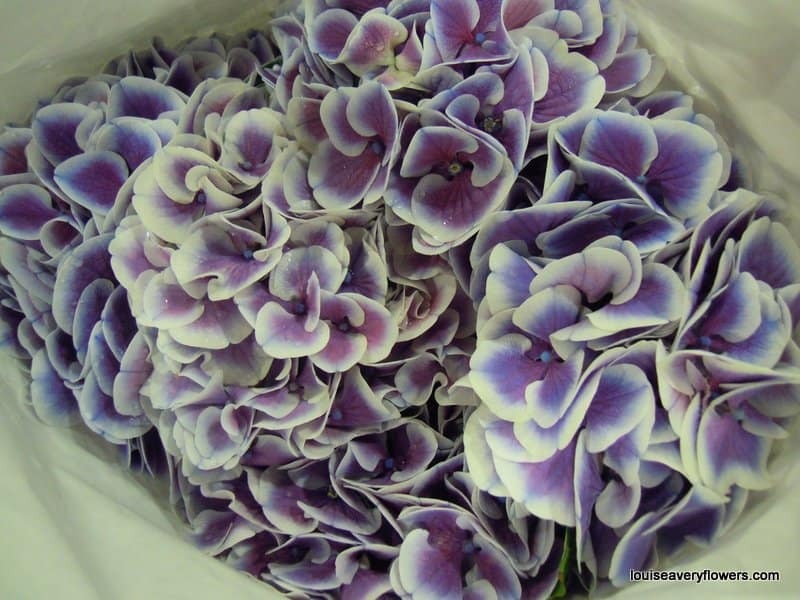 Bi-colour hydrangeas with their white and coloured petals can offer a softer look and again is a very popular wedding flower choice. 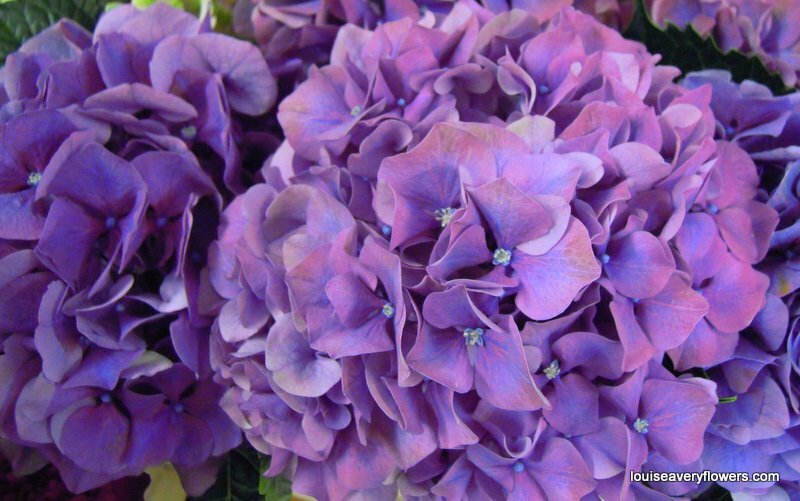 Next, we have the option of growing hydrangea plants. 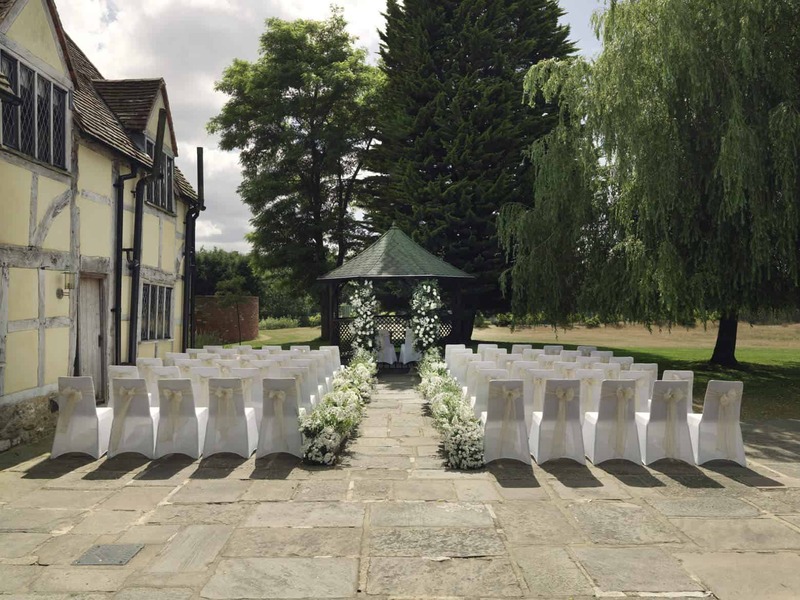 Planted hydrangeas give the further option of adding wow to an outdoor display together with the practicality of holding up for the day in heat [yes we do sometimes get a glorious sunny Saturday for our brides and grooms! I often dismantle large displays the following day and box up plants for the bride and groom to either give away to friends or family or add to their own gardens afterwards. 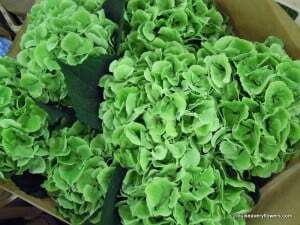 It’s a great way of getting full value from your wedding flower budget and it is environmentally friendly too! Using planted hydrangeas is packed with advantages and having a living and growing memento of your wedding day is certainly one of them. 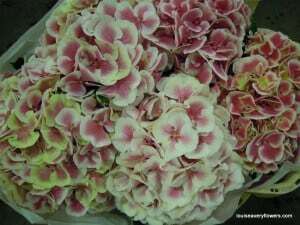 Remember the wonderful trees and beautifully stylised lily-of the-valley under planting that graced Westminster Abbey for the Duke and Duchess of Cambridge’s wedding, simply perfect and now growing in royal residences. 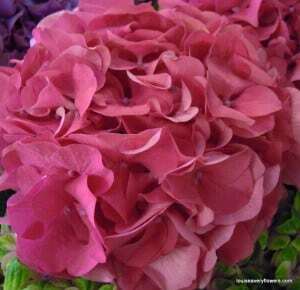 Yours may not be a palace but re-planting can be enjoyed on any scale by all. 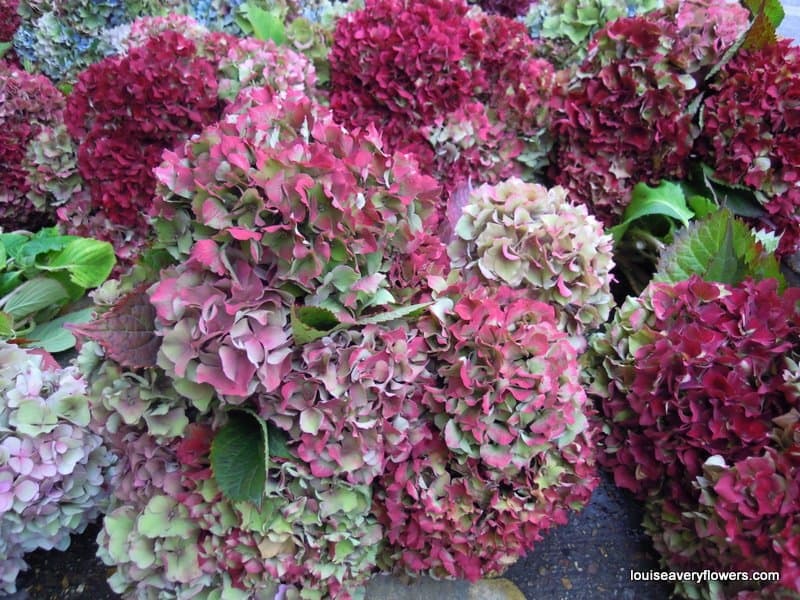 As the summer turns into autumn, English Hydrangea naturally changes colour with the onset of a new season and the soft summer pink and blue shades that we started with earlier on now become the stunning mixed red shades of autumn.